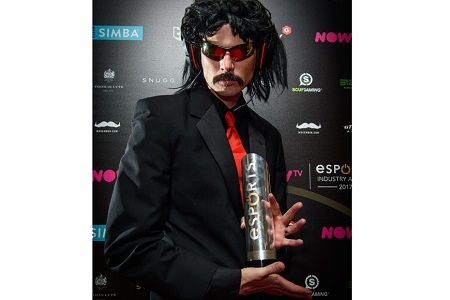 Guy Beahm who is known as Dr Disrespect is a famous American Internet personality and Twitch.TV streamer where he plays games like H1Z1, PlayerUnknown's Battleground, Fortnite, Call of Duty. Beahm has over 2.9 million followers as of December 2018 on his Twitch. He even earned some awards like Esports Industry Award as Streamer of the year and The Game Award for being a Trending gamer. 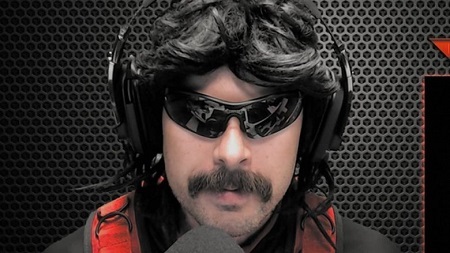 Dr Disrespect was born on March 10, 1982, in Encinitas, California, The United States and his birth name is Guy Beahm. Beahm graduated from California State Polytechnic University in 2005. 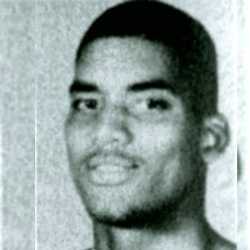 He played Division II NCAA basketball on that University. When he graduated from college he started working for Sledgehammer Games as a Community Manager. Sledgehammer is a very famous, leading and reputable game developing company in America. While working there he proved himself worthy of the position of community manager because of that he was soon promoted to a Level Design Position in 2012. He even helped designing global selling games like Call of Duty: Advanced Warfare which had Solar Horizon, Recovery, Slideshow, Quarantine, Site 244 and Instinct. After having a record of huge success within a period of 3 years he decided to retire from a gaming company in September 2015. After retiring, he went back to his former job as a professional gamer. Wonder where did he get the name Dr Disrespect? Well, the name was originated while Beahm was playing Halo 2 on the Xbox which had proximity voice chat, where players could engage each other, in real time. The game gave him an opportunity to showcase a "dominant character" which made it a lot easier because he was very good at the game. On January 5, 2010, Beham and his roommates began to post a content to Youtube. On January 11 was the date which his first video was posted, showing a gameplay of Call of Duty: Advanced Warfare. On late 2011 he went inactive from a YouTube and didn't even release any content for nearly five years. Beahm had joined Justin.TV which is now changed to Twitch.TV while he was still working at Sledgehammer. As mentioned earlier, he quit the job in 2015 to focus on a full-time streaming career. Beahm was featured in multiple videos of the gaming channel Machinima, mostly playing Call of Duty. He also gained lots of followers from playing a battle royal games, at first he started with H1Z1 before switching to PlayerUnknown's Battlegrounds. As of 2018, he is playing Call of Duty: Black Ops 4 where he has been called "a hyper-caricature of how the stereotypical male gamer views himself". In December 2017, he took a break for like two months from streaming so that he could focus on his relationship with his wife, after making a video of cheating on her. He came back and start doing streaming on February 5, 2018, where he had about 388,000 concurrent viewers. 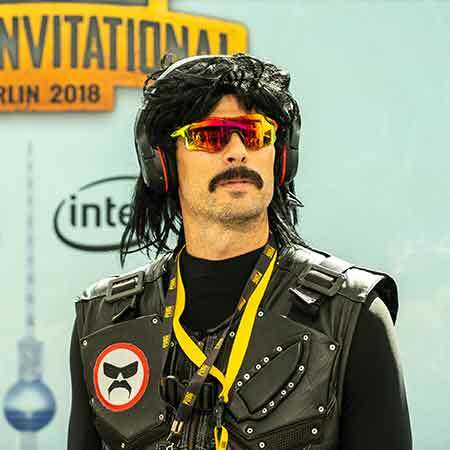 Dr Disrespect goes with another name as Doc, 2xChampion. Beahm has won Esports Industry Awards for streamer of the Year Category in 2017 after a short time he won another award called The Game Awards for Trending Gamer in 2017. Beham hasn't revealed much about his net worth but as a streamer, endorsements, other merchandises, and youtube he earns a considerable amount of money. 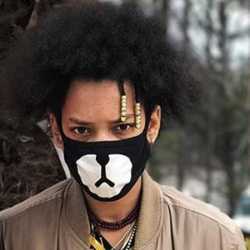 At present record has that he has a net worth estimated to be around $500,000. 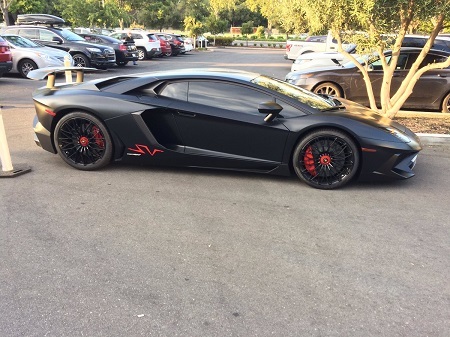 He owns a Lamborghini and has a house in San Diego, California. Dr Disrespect has been very successful when it comes to keeping his family out of public which made us hard to gather information about his family. 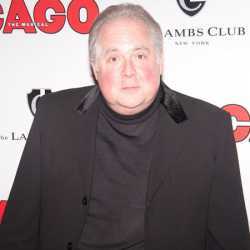 He is married and has not revealed the identity of his wife, family, and daughter. On 2016, he wished @StephenCurry30 on Twitter a happy new year with a photo of his little beautiful girl. He has also pictures of his daughter on Instagram but he is not willing to reveal his wife and share information about his family. But he was considerate enough to satiate the second question about whether he had an offspring or not. We haven't heard any news about them being divorced looks like she forgave her husband. They are still together and their family is still happy.